In this article you will discover how to stop procrastinating in your professional life and in your private life. Discover immediately how to overcome procrastination. Even before procrastinating, you experience an internal dialogue that forces you into procrastination without your knowledge. But before this dialogue takes place, your automatic thoughts give you instructions as to what you can accomplish. Automatic thoughts are the conscious manifestation of mental processes that escape your perception but have a real impact on your emotions and actions. Becoming aware of these automatic thoughts and the resulting inner dialogue is essential to stop procrastinating. From now on, start noticing everything you think and what you are saying just before starting to postpone everything. Write down the sentences that often come up and find other ones that help you improve your motivation. If, for example, you say that you are not able to do a certain task, then you can say that you are going to do your best to do it. This small change may seem insignificant or unnecessary, but it is the first step in reprogramming unconscious processes that influence your work efficiency and your private life. These automatic thoughts can be the result of past experiences, beliefs, social or even cultural conditioning. To remain pragmatic, simply observe how your inner dialogue evolves through awareness, change of meaning, and execution of actions that you need to implement. Some people are not able to organize themselves and continue to procrastinate because they have acquired the identity of procrastinator. For these people, it is not a mere belief in their ability to do something. These individuals act consistently with a limited vision of what they can accomplish. If you fall into this category of people and want to change your life for the better, you must now begin implementing changes that call into question your false identity. Begin this process of identity change by meeting people who have a good organization and be influenced by their way of thinking. Challenge yourself and act in accordance with a broader vision of what you can achieve. Transgress the habits that limit you by constantly taking actions outside the comfort zone of your false identity. Doing this will allow you in the medium term to reclaim your true identity and stop procrastinating. 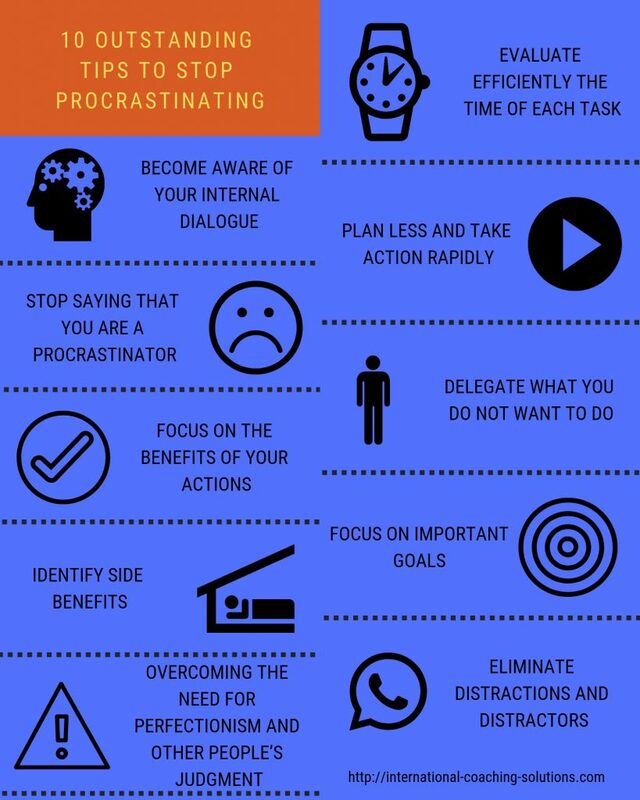 People who procrastinate may have a misperception of what it means to take action or may tend to imagine all the disadvantages of doing a task. In this case, it is not surprising to procrastinate as much in the professional context as in your private life. To overcome procrastination, you must consciously choose to focus on all the benefits of your actions. As with automatic thoughts, or when dealing with a false identity, learning to focus on all the benefits of doing a particular action is not an easy change. You must unlearn to focus on what might not work and learn how to use the emotions associated with the accomplishment of your action. Take regular actions to create new habits and build confidence. These small, regular actions will allow you to stop procrastinating and become more confident in your ability to manage everything. It becomes difficult to stop procrastinating if postponing your commitments overnight brings you side benefits. For each of the situations that you push back, try to identify those with a secondary benefit. Note this advantage and what you can do to take action by finding another more productive way to keep that same advantage. By doing this, you will be able to use your energy and overcome your tendency to procrastinate. If these side benefits still prevent you from moving forward, you may need to clarify your values. It is possible that a secondary benefit can satisfy a significant value in your scale of values. In this case, it will be necessary to think about how to manage a possible conflict of values. If you are a perfectionist and you need hours to take action and do tasks that take only a few minutes, you will quickly feel exhausted and have no motivation to take action. If you find yourself in this description, you have established a painful mental association over acting immediately to meet your professional or private commitments. To stop procrastinating, you must become aware of how the constant pursuit of perfection limits you in your daily work and in your personal life. You must begin to compromise with your perfectionism by accepting the idea of ​​taking immediate actions even if they seem incomplete or imperfect. Then, you must create a new positive mental association with the idea of acting quickly. Afterwards, you can perfect your actions if you really need them and use your perfectionism to your advantage. In some cases, perfectionism is also associated with fear of other people’s judgment. If in addition to requiring perfection from yourself, you are too vulnerable to the judgments of your professional or private circle, it will be even more difficult for you to take action. Fear of other people’s judgment may be associated with low self-esteem. In this case, you must decide to trust yourself and to believe in your own judgment more than that of others. Then, you must stop constantly criticizing yourself and focusing all the time on your weaknesses. Finally, you must take action quickly. Have you already measured the time it takes to complete the tasks you continue to postpone? Probably not. But do not worry, you are not the only person to do this. The majority of people who procrastinate have no idea how long it takes to complete a given action. To overcome this situation, you simply have to estimate the time required for each task and then you begin to take each action. You will see that in most cases your estimation of the execution time of a task will be much greater than the real time you will need to achieve what you want. This awareness will help you move more easily and stop procrastinating at work and at home. Some people have become experts in planning. 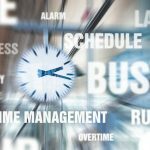 They are able to create almost perfect schedules, but when they want to take action, they remain motionless and find a thousand excuses not to act. If you find yourself in this description and want to stop procrastinating you must learn to plan less, think less and act quickly. Choose only one task that is important to you and immediately take action to begin doing it. Act as quickly as possible so your conscious mind does not have time to stop you. If it takes a lot of time to complete this task and it may discourage you, break it down into much more manageable subtasks. Once you have done this, congratulate yourself to associate pleasure to this new behavior so that it becomes your usual way of acting over time. Delegation is sometimes the best way to stop procrastinating. If a given task becomes an unbearable or unmanageable task, you can simply decide to delegate it. Do this as much in your private life as in your professional life. For each of your commitments that you want to get rid of, define the person who will take care of it and call it to get rid of this responsibility right away. How can you stop procrastinating if you focus your energy and abilities on tasks that do not bring you anything important? Make a list of the actions you have been doing for a long time and see if they are really important to you. If they are not, eliminate them or delegate them. Set important goals for you, commitments that allow you to reach your potential and act quickly and effectively. Then, plan your schedule by including the actions that will allow you to turn your goals into reality. Give a date and a duration to each of the actions you will implement. Then, evaluate whether your actions are effective and what you can do to become more successful. Learn from your mistakes and keep progressing. 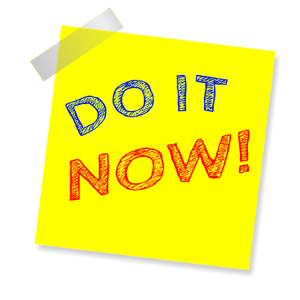 If procrastination shows up again, act immediately, break down the problems into simpler tasks, delegate or eliminate. Eliminating distractions when you are about to take important or urgent actions is essential. Whether it is your mobile phone or any other situation that may affect your level of attention, it is in your best interest to get rid of things that prevent you from achieving your most important goals. For example, distractors are people who distract you when you are working in your office or at home. Set clear boundaries with distractors and suggest agreement so they do not disturb you. A noisy or uncomfortable work environment can also become a distractor. An object that makes you think of one of your favorite hobbies is also a distractor. The tendency to stop an important task to focus on an unimportant one like for example checking your mailbox 20 times a day, is again a distractor. Identify all distractions and distractors. For each of them, decide how you will manage them so they do not slow you down further in pursuit of your important goals. Try to use your break times to distract yourself and recharge. In this article, you have become aware that procrastination encompasses an important psychological component. By understanding what is limiting you and making the necessary changes, you will be able to create new habits, become more efficient and satisfied. This article on how to stop procrastinating is over. Before you leave, i would like to ask you a question. How will you use what you have just learned to improve the quality of your life and when will you start taking action? If you want to know more about how to stop procrastinating at work and in your private life, write to us via our contact form and ask for an appointment with a time management coach.